The Hispanic Society of America was founded in 1904 by Archer Milton Huntington to establish a free museum and research library representing the culture of Spain and the peoples it has influenced. It is located in the neoclassical building on West 155. Museum is open every day except Monday and is free. Just try to avoid in hot summer -there is no air conditioning in the museum. 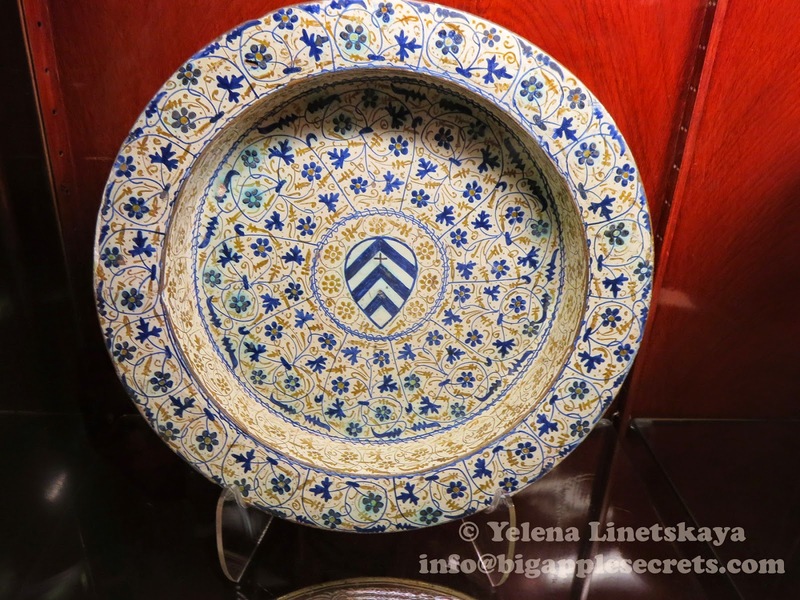 I wrote about the history of museum a week ago, and now I'd like to talk about its' wonderful collection of the paintings, ceramics and sculpture. In the center of the museum there is a beautiful two-story terra cotta main court with a the light-filled balcony lined with paintings. The most renowned painting in the collection is Goya's portrait of the Duchess of Alba. There are three portraits of Velasquez, "Saint Jerome" and "Holy Family" by Domenikos Theotokopoulos, called El Greco and a lot of others, maybe not so well known paintings on the walls. 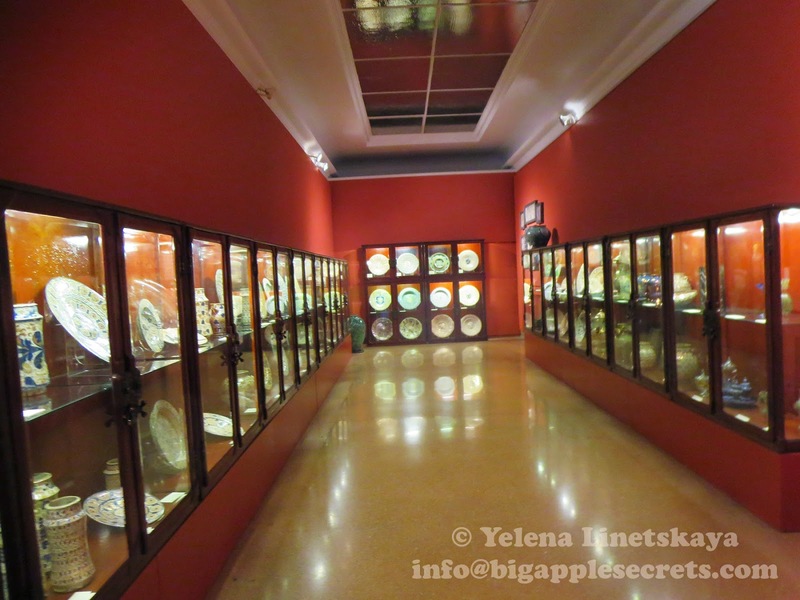 There is a separate room with spectacular murals by the Spanish artist Juaquin Sorolla. 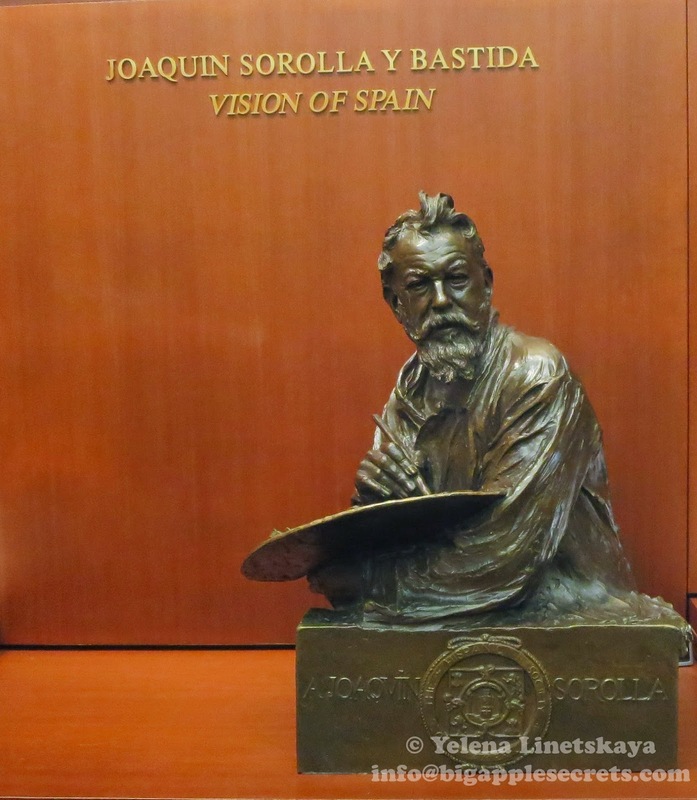 Early in 1911, Sorolla visited the United States with the exhibition and met museum founder Archer Huntington. Later that year Sorolla signed a contract with Huntington to paint a series of oils on life in Spain. He completed the final panel by July 1919, was by his own admission, exhausted and suffered a stroke in 1920, while painting a portrait in his garden in Madrid. Paralyzed for over three years, he died on 10 August 1923. The Sorolla Room opened to the public in 1926. The room closed for remodeling in 2008, and the murals toured museums in Spain for the first time and had a great success. 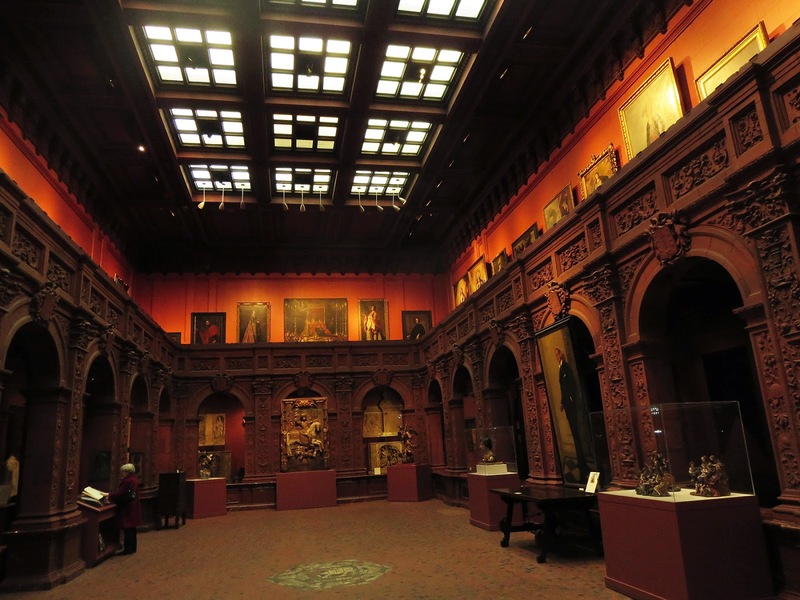 The Sorolla Room reopened in 2010, with the murals on permanent display. The murals range in size from 12 to 14 feet in height, and total 227 feet in length and are really stunning. 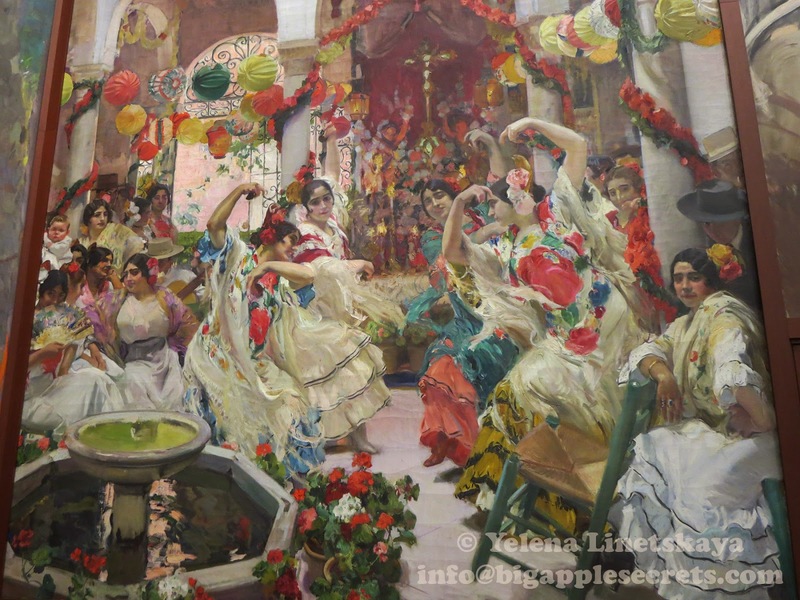 Each panel in Sorolla room is a beautiful scene of Spain. The murals are remarkable and amusing: luminous dancers, market sellers, paraders, penitents, cowboys, sheepherders. 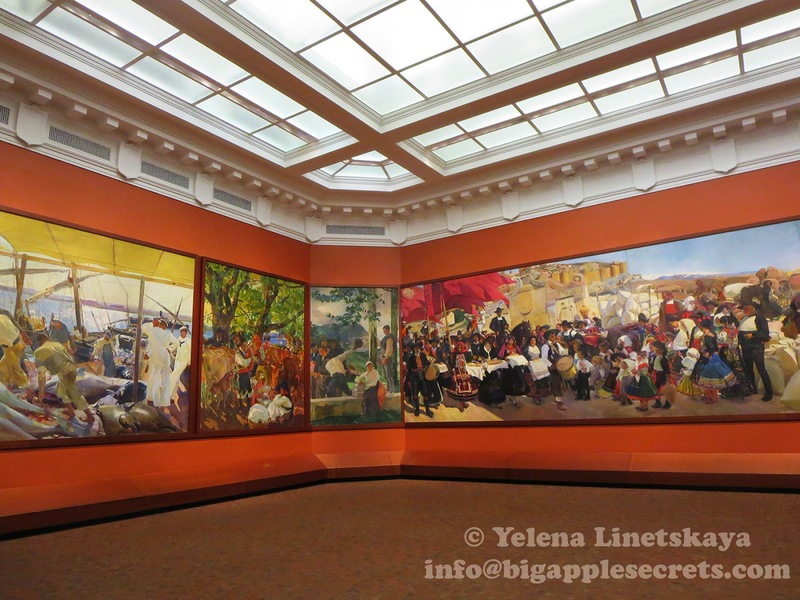 Sorolla murals reminded me Thomas Hart Benton's "America Today Mural Rediscovered" - the exhibition in the Metropolitan museum. "America Today" depicts a panoramic sweep of rural and urban American life on the eve of the Great Depression. Archer Huntington was fascinated with the ancient past of the Hspanic world. He sponsored significant archeological expeditions near Sevilla, Spain on the site of the Roman city of Italica. 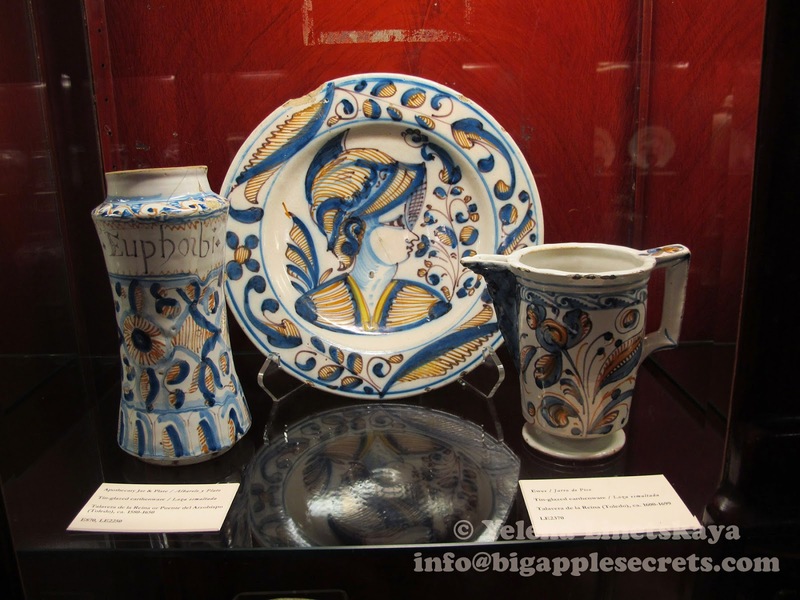 Through these expeditions The Spanish society has been able to assemble the most important collection of Spanish antiques outside of Spain. In addition to Ancient and classical sculpture collection contains extraordinary works dating from the Middle Ages to the early 20th century. The collection of Spanish ceramics, in the narrow hallways on the second is one of the largest collections both in the U.S. and in Spain. The collection is arranged chronologically. 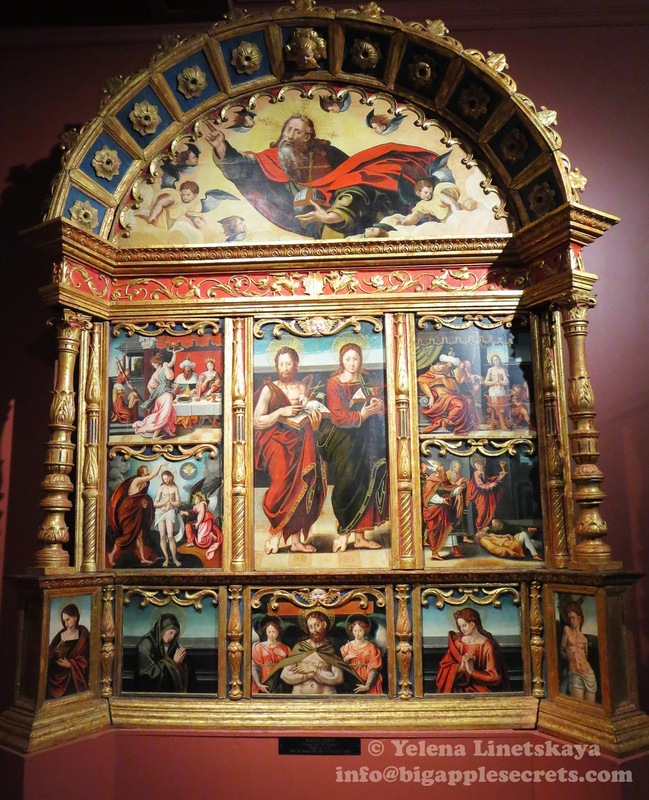 The display begins with works in the Hispanic-Moresque style made in Al-Andalus (Moorish Iberia) during the fourteenth and fifteenth centuries and ends with the piece from the twentieth century adorned with flapper and art deco zeal. 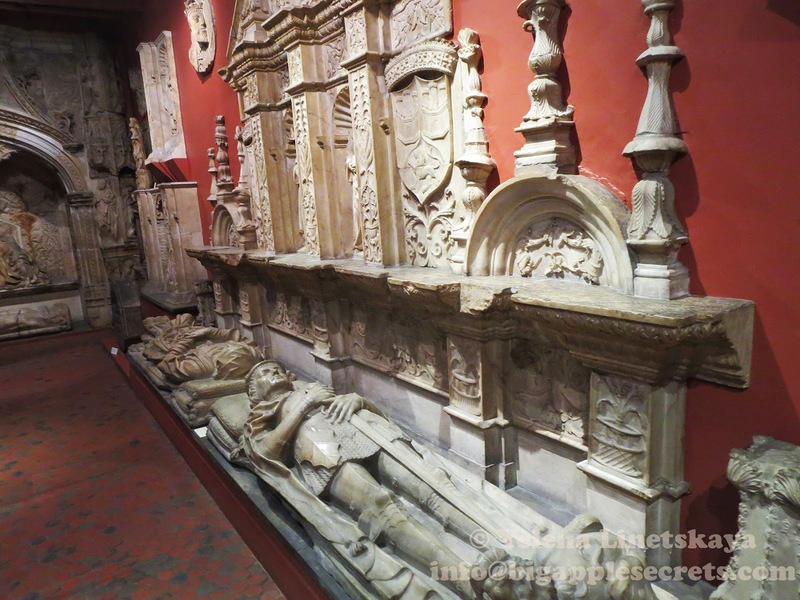 The museum has early first-century mosaics, medieval furniture, tomb effigies and a wonderful collection of 15th-century door knockers. There are also wood carvings, ivories, examples of hand-crafted gold and silver, as well as contemporary works.